When student-loan servicing company Educational Credit Management Corporation revealed it would purchase 56 campuses belonging to embattled for-profit college chain Corinthian Colleges, regulators and consumer advocates began working to ensure that students affected by CCI’s collapse would be protected under the deal. Today, the Consumer Financial Protection Bureau and the U.S. Department of Education announced some students would receive the help they deserve in the way of $480 million in debt relief. The CFPB announced today that it reached a deal with prospective CCI buyer ECMC that would provide more than $480 million in forgiveness for current and former students who took out CCI’s high-cost private student loans. While the agreement to provide redress will no doubt provide needed relief to struggling students, the figure translates an immediate 40% reduction in the amount students owe in outstanding so-called Genesis loans. In addition to the student debt relief, ECMC has agreed to not operate a private student loan program for seven years, halt lawsuit threats and improper debt collection practices, remove negative information from student borrowers’ credit reports and implement strong consumer protections for students. According to the Bureau’s announcement today, the deal with ECMC came after the prospective buyer sought a release from liability for CCI’s alleged illegal activity. The CFPB believed that a release was appropriate only if ECMC would work to provide substantial relief for borrowers saddled with private student loan debt. And because ECMC has never operated an institution of higher education, the CFPB also sought to ensure that they operate the schools in a fair and transparent manner. • Not offer private student loan programs: The CFPB sued Corinthian Colleges for alleged predatory practices related to its high-cost Genesis loan program. ECMC will not offer its own private student loans to current and future students for a period of seven years. • Halt lawsuits threats and improper debt collection practices: The CFPB’s lawsuit alleges that Corinthian engaged in strong-arm tactics to collect private student loan debt. ECMC has taken steps to ensure that borrowers who have outstanding Corinthian loans will not be sued or threatened with legal action. In addition, borrowers will not be harassed or have their debts disclosed to third parties. • Remove negative information from student borrowers’ credit reports: Many borrowers lured in by Corinthian’s efforts to induce them into high-cost loans have seen their credit report damaged. Credit reporting agencies will receive instructions to delete any existing negative credit reporting information from borrowers’ credit reports. 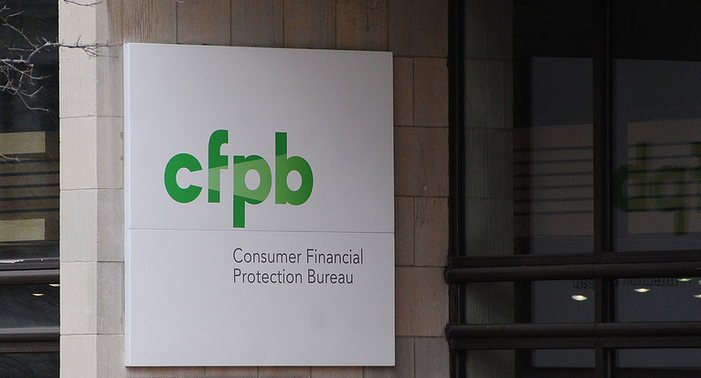 • Implement strong, new consumer protections: The CFPB’s lawsuit alleges that Corinthian made a range of misrepresentations to prospective students. As part of today’s announcement, ECMC is obligated to adhere to an agreement with the U.S. Department of Education that provides for flexible withdrawal policies, clear information on job prospects, and other protections. The CFPB says it will continue to work with the Dept. of Education and ECMC to ensure that the debt relief and other provisions under the agreement are adhered to. The agreement announced today does not release CCI from any liability regarding a lawsuit that the CFPB filed against the for-profit college institution last fall seeking $569 million in redress for students. Back in September, the CFPB sued CCI after an investigation found that since July 2011 tens of thousands of students were duped by Corinthian into taking out costly predatory, and often financially devastating, private student loans to finance their post-secondary education. The CFPB alleged in the lawsuit [PDF] that Corinthian then used illegal debt collection tactics to harass students into paying back those loans while still in school. To protect current and past students of the Corinthian schools, the Bureau sought to halt these practices and requested the court to grant relief to the students who collectively have taken out more than $569 million in Genesis Loans. The CFPB sought full redress of all private student loans made since July 21, 2011, including those that have been paid off. However, today’s move by the CFPB, Dept. of Education and ECMC does provide a response to consumer groups’ warnings that the pending sale of CCI campuses and the deal’s stipulations could further hurt students already reeling from CCI’s abusive practices. Back in December, consumer advocate groups including the Center for Responsible Lending, the Institute for College Access & Success, as well as our colleagues at Consumers Union sent a letter [PDF] to officials at the Department of Education, U.S. Department of Justice and the Consumer Financial Protection Bureau urging the regulators to refrain from waiving liability for Corinthian buyers unless the sale provides significant relief for current and former students and contains enforceable safeguards to protect students and taxpayers from future abuses. While today’s agreement marks an important step in ECMC’s quest to purchase the 56 WyoTech and Everest campuses from CCI, the company continues to face scrutiny from many consumer advocacy groups related to students’ rights to seek rectification from the for-profit institutions. In mid-January, Fair Arbitration Now, a group of more than 70 consumer, labor, legal and community organizations, sent a letter [PDF] to the U.S. Department of Education urging the agency to ensure that the legal rights of students are fully restored in ECMC’s $24 million acquisition of the CCI campuses by barring the nonprofit company from using arbitration clauses. In the letter, the groups warn the Dept. of Education that if ECMC is allowed to continue the use of arbitration clauses, the company could continue to perpetrate the same “aggressive recruiting and sleek marketing ploys” previously used by CCI while also shielding themselves from being held accountable for actual and potential wrongdoing.